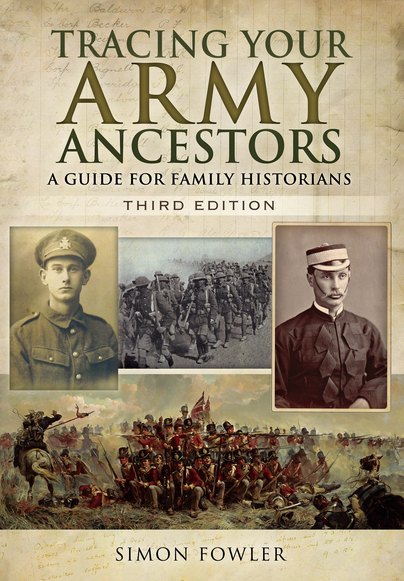 You'll be £14.99 closer to your next £10.00 credit when you purchase Tracing Your Army Ancestors - Third Edition. What's this? A very useful guide to researching Army ancestors. This well known author has produced yet another excellent guide for researching ancestors who have served in the Army. The book is an ideal text for reference when investigating army personnel. A splendid publication with a great deal of valuable information. This is a third edition of this book reflecting the advances in available and updated information sources. More superb advice on tracing your ancestors, this time covering British Army records. We hit a blank wall with many of our own researches, mainly because so many records were lost or destroyed during the second world war. This superb title helps you when the usual records come up short.